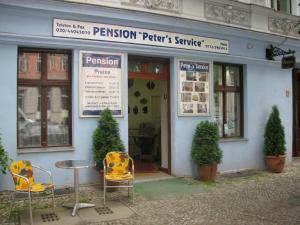 The Pfefferbett Hostel lies in the trendy Prenzlauer Berg district of central Berlin, steps from the Senefelder Platz Underground Station. It offers cheap rooms and a 24-hour reception and bar. The Pfefferbett is located in a 19th-century brewery and features modern interior design and stylish parquet floors. A buffet is served each morning in the Pfefferbett’s historic breakfast room. 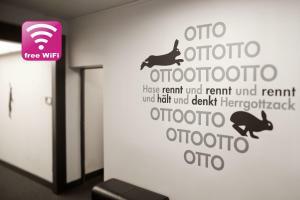 Free Wi-Fi is available in some rooms and in all public areas. 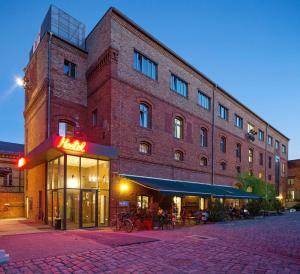 Lux 11 Berlin-Mitte price per day from €84 Stylish rooms and apartments with kitchenettes are offered at Lux 11 as well as a designer boutique, a milk bar and a restaurant It is 200 metres from Alexanderplatz Square in Berlin’s Mitte district. The elegant apartments at Lux 11 Berlin-Mitte feature high ceilings and a modern bathroom with rain shower. 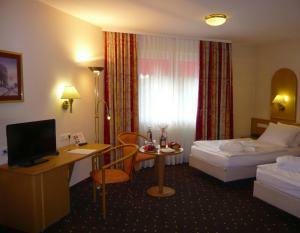 Rooms are equipped with cable TV, a DVD player and iPod docking station. The Lux 11 is a great base for exploring the trendy nightlife venues of the areas around Hackescher Markt and Rosa-Luxemburg Platz, both a 5-minute walk away. Casa Camper Berlin price per day from €128 Offering free fitness facilities, free refreshments 24 hours a day and free WiFi, this hotel is located in Berlin’s popular Hackescher Markt area. The designer rooms at Casa Camper Berlin include air conditioning, a TV, a spacious seating area and a bathroom with natural daylight. The Tentempié Lounge on the top floor offers a panoramic city view and serves free drinks, yoghurts, fruit, snacks and fresh salads 24 hours a day. The Weinmeister Berlin-Mitte price per day from €84 Offering Apple iMac computers and free Wi-Fi in all rooms, this hotel in Berlin’s Mitte district is just a 5-minute walk from Alexanderplatz Square. The stylish Weinmeister Berlin-Mitte offers air-conditioned rooms with extra-large beds, a CD/DVD player, and a rain shower. A rich breakfast buffet is available at the Weinmeister Mitte. The classical-style Schwarz Bar is perfect for relaxing in the evenings. 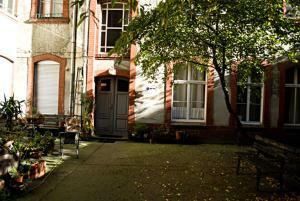 Schoenhouse Studios price per day from €89 Centrally located in Berlin’s Prenzlauerberg district, Schoenhouse Studios offers rooms and studios with free Wi-Fi. Each of the room features floor-to-ceiling windows, modern furnishings and wooden floors. 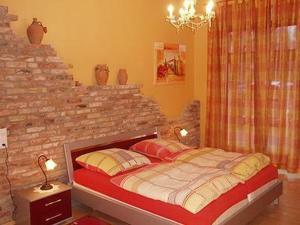 A coffee machine, flat-screen TV and private bathroom with a hairdryer are provided. There is a café on the ground floor where breakfast is available. The nearby Alexanderplatz S-Bahn Train Station (1 km) provides a direct connection to the Brandenburg Gate and Tiergarten Park. Restaurant Cuore Di Vetro, Berlin Guest reviews: 9,8/10 ~ 0,6 km from Pfefferbett Hostel Address: Max-Beerstr. 33, 10119, Berlin. Cuisine: Italian. Restaurant Sucre et Sel, Berlin Guest reviews: 9/10 ~ 0,8 km from Pfefferbett Hostel Address: Torstrasse 132, 10119, Berlin. Cuisine: French. Restaurant Madami - Mom's Vietnamese Kitchen, Berlin Guest reviews: 9,6/10 ~ 1 km from Pfefferbett Hostel Address: Rosa-Luxemburg-Str.3, 10178, Berlin. Cuisine: Asian. Restaurant Villa Rodizio, Berlin Guest reviews: 8,6/10 ~ 1,5 km from Pfefferbett Hostel Address: Milastrasse 2, 10437, Berlin. Cuisine: Barbecue. Restaurant Fassbender-Rausch, Berlin Guest reviews: 9/10 ~ 2,6 km from Pfefferbett Hostel Address: Charlottenstrasse 60, 10117, Berlin. Cuisine: Café.